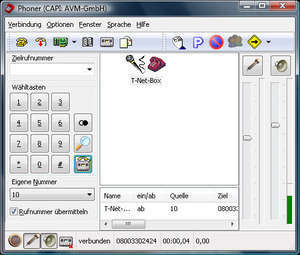 Phoner enables voice connections to landline, cellular network and VoIP. Phoner can be used as software phone on stationary and mobile PC devices attached to analogue or digital (ISDN) subscriber lines and as SIP client. Phoner enables voice connections to landline, cellular network and VoIP. For security reasons, you should also check out the Phoner download at LO4D.com which includes virus and malware tests. Additional screenshots of this application download may be available, too.